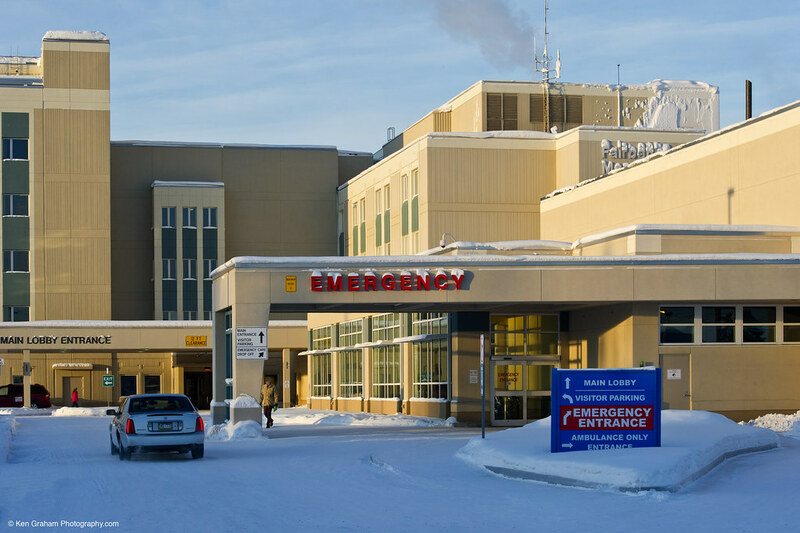 For over 20 years, PDC has been providing the Fairbanks Memorial Hospital with design services to support their on-going expansion program. 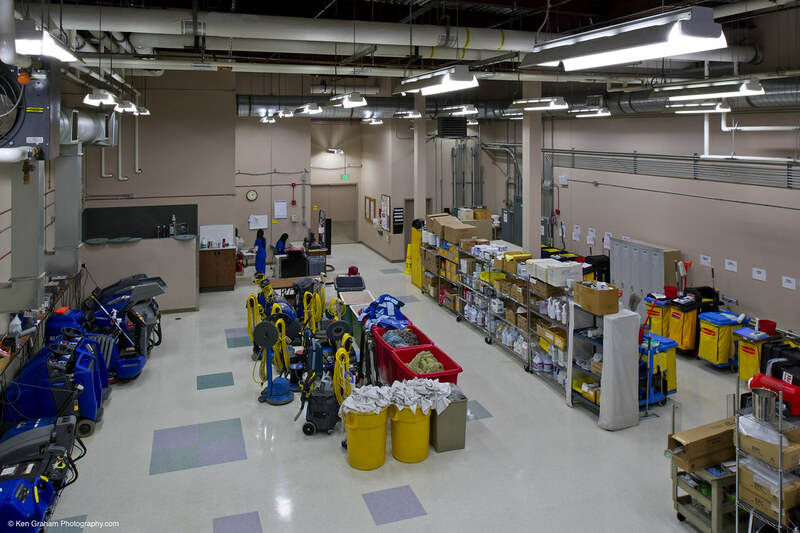 As the hospital has expanded, we have designed additional space for many different departments. Surgery Addition: This project involves the addition of seven new operating rooms, new PACU/PREP rooms, classrooms, lounges, locker rooms, sterile processing rooms, operating room material management space, a second floor corridor across existing roofs, six elevators, and a new elevator from the new connecting corridor down to the existing Emergency Department. All new space is contiguous to the existing facility. The scope includes adding a floor over the existing outpatient clinic and moving its existing mechanical and electrical penthouse. The clinic had to continue to function during construction. 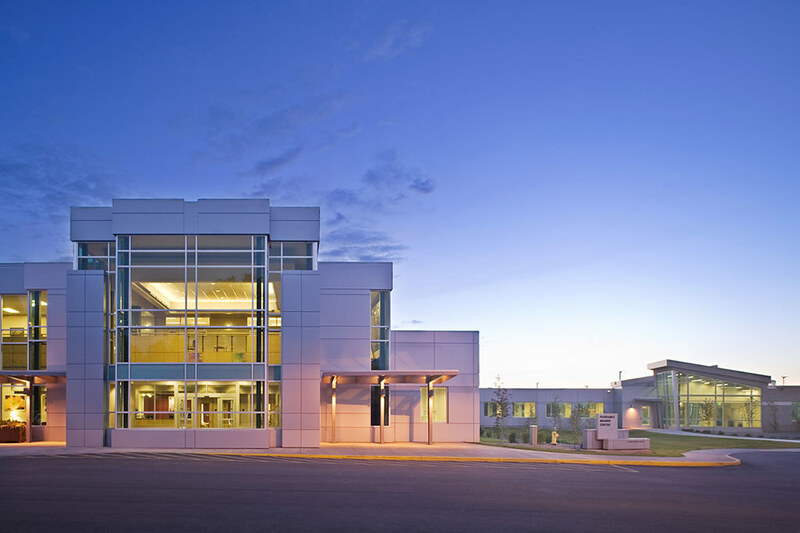 In addition to electrical and communications designs, the expansion of the existing facility fire detection and alarm systems was an integral part of the surgery addition. Fire detection and alarm coverage was provided throughout the addition including smoke and heat detection with modifications to the existing building were connections were made. Control over HVAC, elevator controllers and power service were provided through intelligent interface modules. The new second floor corridor access route will connect the existing north, central, and south towers of the hospital with the new operating room addition. Limited seismic upgrades to the existing north and central nursing towers will be completed with the corridor connection. Installation of a fourth boiler through the roof of the existing boiler room is included. The look of the new addition must integrate with the existing building’s modest exterior. 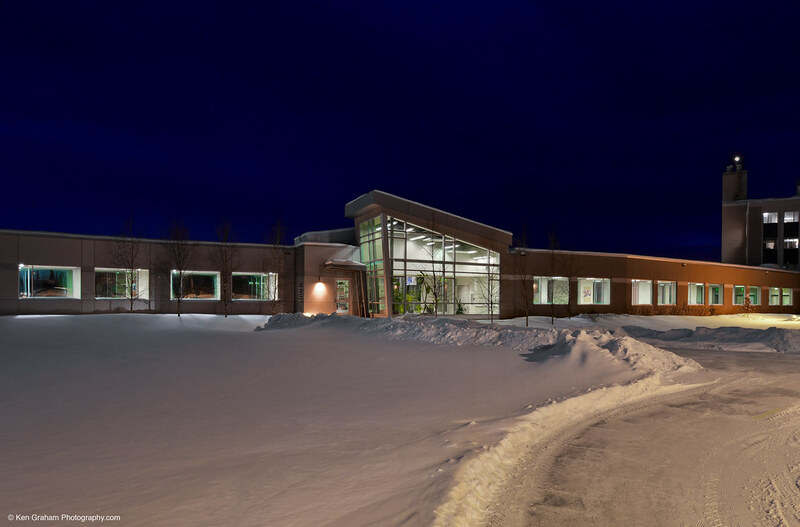 Outpatient Imaging Center: This new 35,600 sf two-story building with partial basement has a dramatic lobby and was designed for the challenging arctic environment. All of the heavy imaging equipment is on the first level, with CAT scans and doctors’ offices on the second. Design and construction occurred on a fast-track schedule. 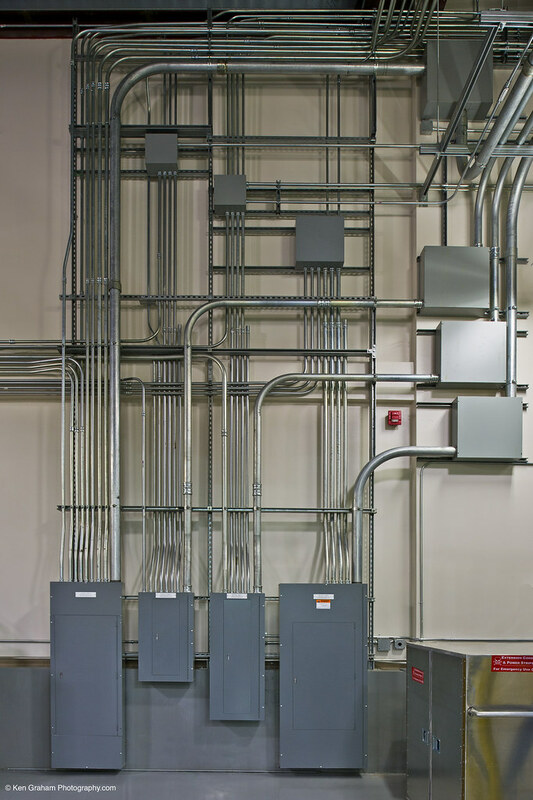 PDC’s mechanical, electrical engineers provided fire detection, alarm, and protection system designs in addition to the HVAC, plumbing, power, lighting, and communication systems. 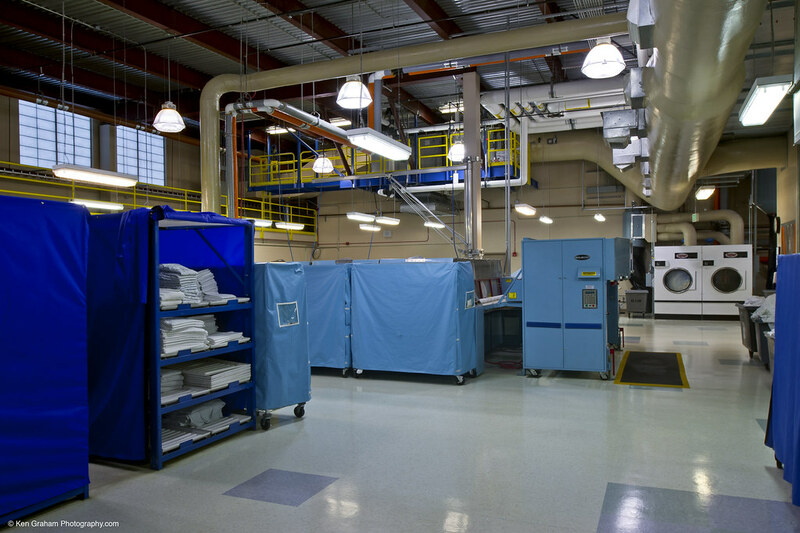 Detection and fire protection integration with the imaging areas’ shielding and control requirements were integrated in the design. 2008 Vista Award recipient by the American Society for Healthcare Engineering. 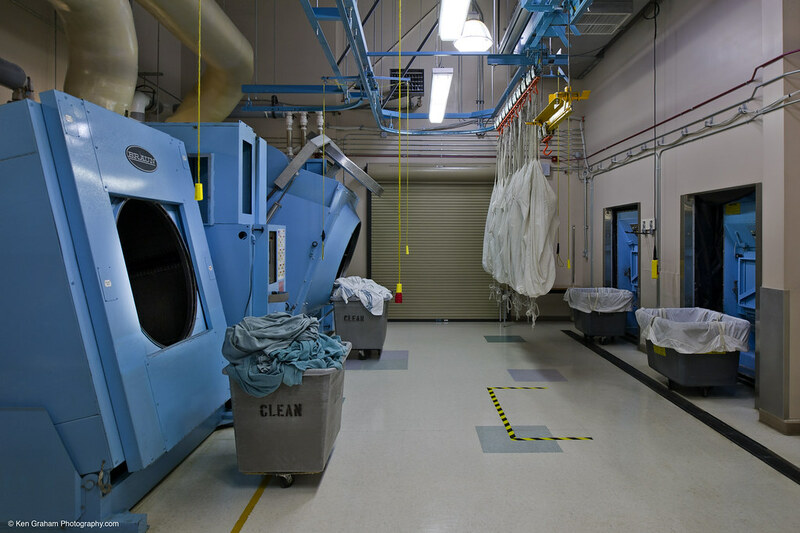 Boiler/Laundry/Trash Addition: After 30 years of growth, the hospital had outgrown its support and maintenance infrastructure, and in 2007 FMH began an ambitious expansion. 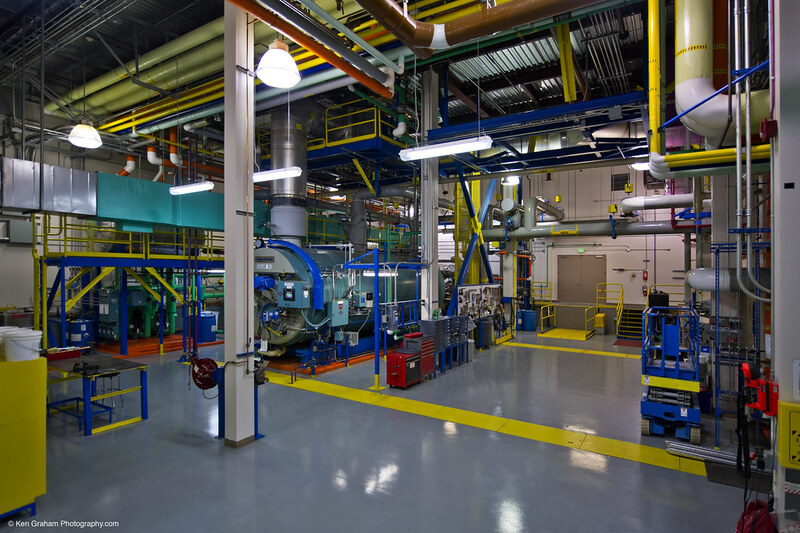 This extremely complex project encompassed 28,000 sf and houses a myriad of mechanical and maintenance equipment. 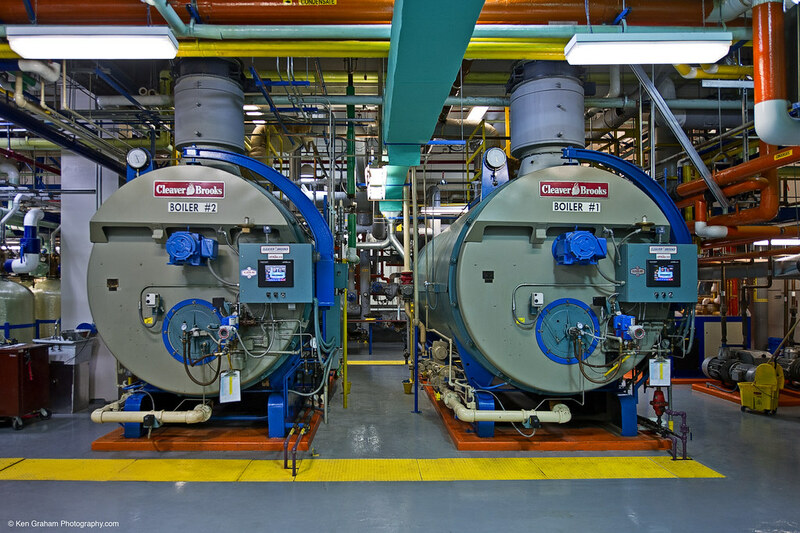 Four new 700 hp boilers and new controls for the entire central plant were added, along with a 30,000-gallon fuel tank farm. All of this was accomplished while the hospital maintained operations. 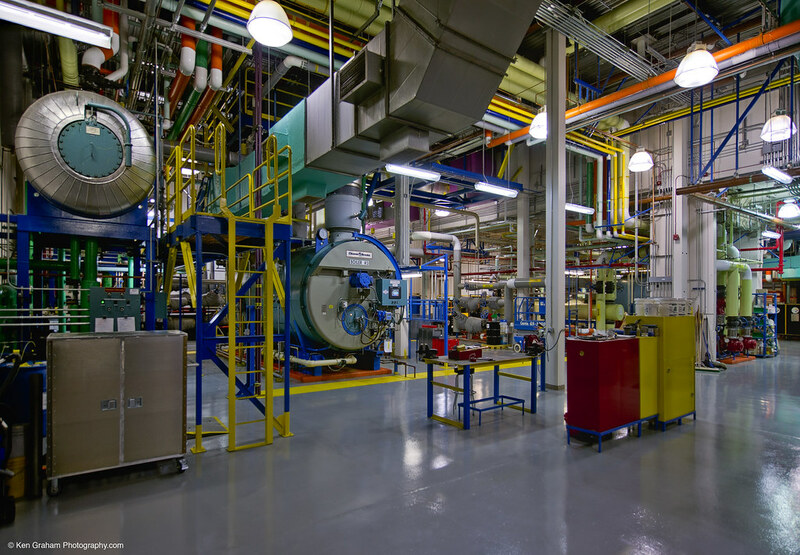 PDC’s mechanical provided HVAC and fire suppression design and construction administration for this addition and a subsequent phase boiler addition. 2009 Vista Award recipient by the American Society for Healthcare Engineering. 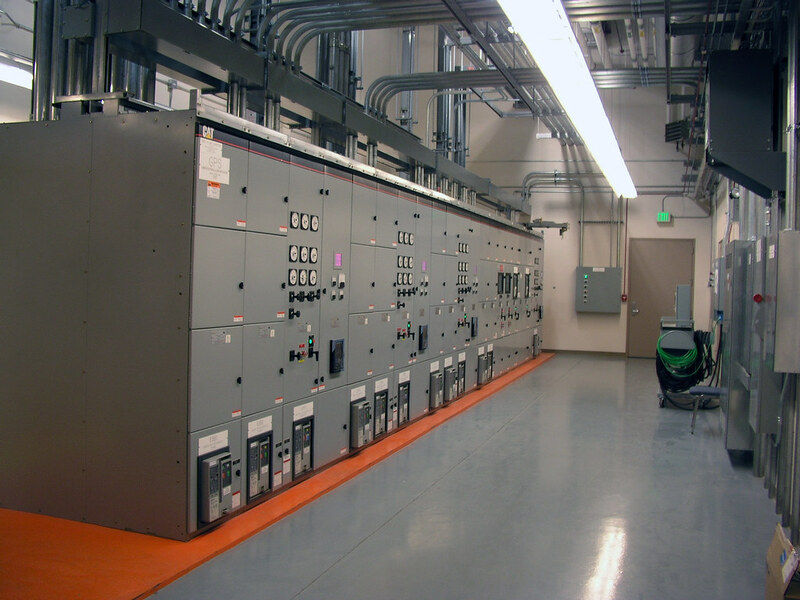 Emergency Generator Addition: PDC completed an evaluation and report that recommended a new generator project to provide a 480 volt, 5,000 amp generator paralleling switchgear supporting three 1,500 kW generators. It also called for new 15 kV campus distribution switchgear for a new hospital-owned 12,470/7,200 volt underground distribution system. Following the report, PDC designed all of the systems involved in the project on a fast-track schedule. This project was presented to the American Hospital Engineers Association in 2009 and won first prize in the Infrastructure division. Emergency Department: The addition for the Emergency Department included all of the diagnostic and operating spaces along with a new enclosed ambulance bay. 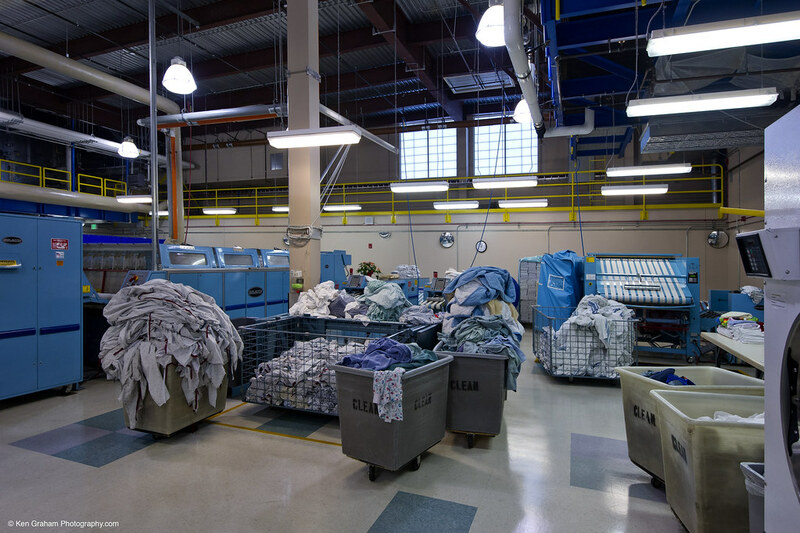 The second floor contains all of the mechanical and electrical equipment. The structure was designed as a Special Moment Resisting Frame in conformance with the recently published AISC design guidelines for seismic structures. This was the first structure in Alaska designed under these guidelines.